Business Wire is a quality service that offers live, useful customer support. While the features are relatively easy to use and problems are easily solved by account managers, it is an expensive service. You are not always certain where your release will be distributed and the reports that are offered, while expansive, could serve to be a bit more clear at times. An excellent tool for distributing information quickly on behalf of clients. At times, it is critical to be able to get information out to the media in a timely manner. Business Wire allows you to distribute press releases to the service's huge database quickly. The service's press release distribution network is vast, allowing you to reach audiences of websites and news organizations such as CNN, ABC, CBS, Yahoo! and many more local publications. "PR and Brand development solution "
How you can legitimately present an official statement and it will be circulated all through various stages on the double. This makes it too simple and successful to get your official statement out instead of setting aside the effort to send it out to different outlets/columnists. The media focusing on apparatus is additionally useful to track and screen media inclusion and movement. Genuinely simple to utilize, and it is a successful technique for appropriating news over the wire. It's not especially superior to a portion of its rivals, however there are extra extravagant accessories that are extraordinary. The left sidebar could remain to be progressively natural. Maybe more customization could be permitted in Press Releases. When seeing official statement dispersion wires I discover them to all have comparative bundles and evaluating. It's imperative to survey your business needs and assess from that point which wire will best serve your organization objectives. Make certain that everything in the discharge is precise. When distributed, altering will be the expense of a totally new discharge. Converse with the staff about your necessities. Compelling on the off chance that you can manage the cost of it. Let it all out. Official statement appropriation to worldwide crowd, media effort and item promoting. It's a simple, streamlined approach to assemble an official statement and get it before potential stages that may utilize it, helping you gain footing in your battle. It can spare both time and expenses. Taking care of the issue of how to enhance our message to the business-centered crowd.The advantages of having a simple to utilize stage with an incredible client administration group were useful. "It's fine for what it is, but not a game changer"
They are very responsive and timely. I can count on that phone call coming after I press submit on the release. They get things done super fast even when they don't have to because the release will go out at a later date. I think their pricing model is antiquated. Their business hasn't really kept up with the times and the thought of paying so much money per word just doesn't make sense from a digital perspective. It's also quite annoying that they make me change my password all the time. I'm not sure the incremental value of using Business Wire would make them worth MORE money than other press release distributors, so make sure it makes sense for your business to spend this money. We consolidated all of our press releases coming out of our multiple global businesses to one account. Before this contract, it was the wild west...everyone did their own thing. It allowed us to get a handle on media relations at my company, so that was a big win. ""Great item for PR Agencies and Trade and Quality Customer Support""
Their help and record groups are additionally inconceivably responsive and fast to assist with any solicitations or issues. All things considered, there is a lot of significant worth for specific customers (particularly open organizations) to send official statements out on the wire, and I utilized it on a membership reason for one specific client.I like that Business Wire client support is so extraordinarily accommodating. At whatever point I need something, they are VERY mindful and hit me up rapidly noting the majority of my senseless inquiries. Business Wire sets aside a touch of opportunity to become accustomed to as I would see it. It can in some cases be precarious for new clients, however my recommendation is to call their client support.Quite costly yet it's justified, despite all the trouble in the event that you are searching for greatest ROI from issuing a public statement. Additionally on uncommon events, the site has had specialized issues, keeping a discharge from going out. It can once in a while be dubious for new clients, yet my recommendation is to call their client support. It focuses on the correct journalists and it's extraordinary for national news too in every industry. It is expensive, yet justified, despite all the trouble for employing declarations, industry declarations, mergers and so forth. It's critical to audit your business needs and assess from that point which wire will best serve your organization objectives. Ensure you investigate every single potential expense for where you might want to disperse a discharge before consenting to utilize their administration full time. All I know is that it is extraordinary to transfer my discharges and I am given help when I need it.Definitely interface with the help group in the event that you have any inquiries. It appears to be entangled at first, however the help group is excessively useful! Business Wire is an incredible method to spread that positive news and makes fabulous recap reports that I can send to my customers with the majority of the vital data. If its all the same to you the expense of the of the administration this is the best wire administration accessible for an assortment of reasons.Many of my customers (Stericycle being my biggest) are keen on putting an essential official statement with another item declaration or relevant organization data on the wire. Business Wire is an extraordinary method to spread that positive news and makes incredible recap reports that I can send to my customers with the majority of the fundamental data. "Awesome product for PR Agencies and Trade and Quality Customer Support"
Their support and account teams are also incredibly responsive and quick to help out with any requests or problems. That said, there is a large amount of value for certain clients (especially public companies) to send press releases out on the wire, and I used it on a subscription basis for one particular client. Quite expensive but it's worth it if you are looking for maximum ROI from issuing a press release. Also on rare occasions, the site has had technical issues, preventing a release from going out. It can sometimes be tricky for new users, but my advice is to call their customer support. It targets the right reporters and it's great for national news as well in each industry. It is pricey, but worth it for hiring announcements, industry announcements, mergers etc. It's important to review your business needs and evaluate from there which wire will best serve your company goals. Make sure you take a look at all potential costs for where you would like to distribute a release before agreeing to use their service full time. All I know is that it is great to upload my releases and I am given support when I need it. Business Wire is a great way to spread that positive news and creates fantastic recap reports that I can send to my clients with all of the necessary information. If you don't mind the cost of the of the service this is the best wire service available for a variety of reasons. "Business Wire is helpful for getting an important press release online "
I like that Business Wire customer support is so incredibly helpful. Whenever I need something, they are VERY attentive and get back to me quickly answering all of my silly questions. Business Wire takes a bit of time to get used to in my opinion. It can sometimes be tricky for new users, but my advice is to call their customer support. Definitely connect with the support team if you have any questions. It seems complicated at first, but the support team is super helpful! Many of my clients (Stericycle being my largest) are interested in putting an important press release with a new product announcement or pertinent company information on the wire. Business Wire is a great way to spread that positive news and creates fantastic recap reports that I can send to my clients with all of the necessary information. "Great Product for PR Agencies and Trade"
It is pricey, but worth it for hiring announcements, industry announcements, mergers etc. It targets the right reporters and it's great for national news as well in each industry. I love how you can directly submit a press release and it will be distributed throughout multiple platforms at once. This makes it super easy and effective to get your press release out rather than taking the time to send it out to multiple outlets/reporters. The media targeting tool is also helpful to track and monitor media coverage and activity. I don't like the setup of the website as a whole, it is cluttered looking and makes things a little bit more confusing than it needs to be. I also think the price for the social media monitoring tool is way too pricey. I think this is a great tool to use to speed up the process of getting your press releases out to the public, as well as tracking how much attention it is receiving. We solve the problem of wasting too much time to get our press release out individually to separate outlets and media sources. We also find benefits with the media targeting tool by being able to monitor the media coverage that each press release receives. "Great Way to Gain Business PR and Brand Development"
BusinessWire gets your press release published in recognized, credible online media that you can proudly link to on your company website and show the world you are professional. And for those with a publicly traded company, BusinessWire can help you meet all those publicity needs as well. Other than the natural desire to save a buck with lower fees, there really is nothing to dislike about the service. Yes, there is a small learning curve, but once you send your first release you will be able to sale through the submission process from then on. I highly recommend BusinessWire. I do not have any ties to them, and do not re-sell their services to my clients. I recommend them to clients who are in the best position to benefit from their services, and then I handle the writing and distribution process for my clients. BusinessWire enables a press release to be published in hundreds of press locations online, that are found by Google and other search engines within hours, not days. Plus it provides a vast selection of published results that can be used on a website press sections, and in press kits. "Good quality service that gets the job done"
Business Wire is fairly easy to use, and it is an effective method for distributing news across the wire. It's not particularly better than some of its competitors, but there are additional bells and whistles that are different. In the PR industry we understand that these things cost a certain amount. That said, it's prohibitively expensive to distribute a press release if you're a small or growing company. Be aware that the service is expensive. Don't rely on Business Wire or any wire distribution service to get the stories for you. The primary goal we have when distributing a press release over the wire is increasing SEO for the company. A secondary goal would be to raise awareness of the announcement in the release. "Great tool to make an SEO splash via PR"
Business Wire is still kind of a clunky tool. It has definitely come a long way, but it definitely doesn't have the ease-of-use like some PR tools do. In the end, it's super easy to upload, but not always the most intuitive when selecting options. Don't be afraid to call the office if you need help with a release! The support staff (particularly in Dallas) is wonderful. They have impeccable grammar and are super nice via phone. As previously mentioned, Business Wire is the perfect first step for reaching out to press when launching a company, announcing a new product or highlighting other business moves. As the product has progressed, we've noticed with our clients that SEO value has increased steadily, and that pushing a release through Business Wire provides a solid base for keyword search. Hands-on attention to press release distribution and everything that goes along with it. What BusinessWire counts as "online and mobile postings" are often quite ridiculous. They use this "Financial Content" syndicated service that sticks generic release postings on some server and claim it as coverage . The releases all look exactly the same, clients aren't fooled, and it's probably one of the worst things about BusinessWire - they are dishonest in calling these hits. Their overall distribution and visibility helps compensate for this, but its extremely frustrating. One of the most respected and secure release distributions services in the business. Be aware of their metrics on how many postings they can deliver. Others in the industry do this as well to inflate their numbers. Visibility, awareness, target audience engagement, social visibility. Formatting makes press releases easy and you can very easily see which outlets have viewed your campaign, as well as which ones have published an article based on it. The left sidebar could stand to be more intuitive. Perhaps more customization could be allowed in Press Releases, though this could come at the expense of making it less intuitive for the inexperienced, which seems like one of its chief draws. This is an especially good product for organizations that would like to put together in-house press releases, as opposed to hiring an outside firm. It is also adequate for small PR firms or consultants helping small organizations navigate PR on a small scale. It's an easy, streamlined way to put together a press release and get it in front of potential platforms that may use it, helping you gain traction in your campaign. It can save both time and costs. "Reliable tool for press release and public relations "
The ability to reach a variety of profiles in terms of the target audience and to integrate information from cross-institutional collaborations into press releases, which is especially useful for sharing information on work that you are doing with partnering companies or teams. Accessible and reliable customer support allows for quick solutions of any problem with the product. Most of the press release postings are generic and there could be more effort into customizing them to different purposes. It is very pricey, especially when it comes to add-on features, such as multimedia content. Be sure to think about how you can select only the services that are really going to make a change to your business, rather than spending money on too many add-on features with little return. Press release distribution to global audience, media outreach and product advertising. This tool could be very helpful to small businesses that are looking to increase their global presence and reach new markets but do not have internal resources to ensure successful entry into new markets. 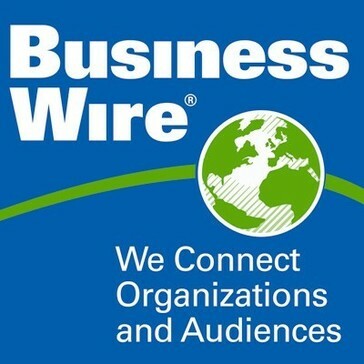 "Reliable vendor for press release distribution fighting to stay relevant"
BusinessWire is definitely the go-to service when it comes to press release distribution. While you'll find little variation among the leading players in this space (Marketwired, PRNewswire etc. ), BusinessWire offers a range of additional multimedia services. Their support and account teams are also incredibly responsive and quick to help out with any requests or problems. While their prices are competitive with other industry vendors, the results almost never justify the cost. The fact of the matter is that traditional press releases and wire services are a dying breed and a press release will rarely guarantee organic media coverage. Press releases work for large companies communicating with their stakeholders, but those companies that are paying close attention to budget would be better off writing a press release and distributing it to a targeted media list or a series of news assignment desks. BusinessWire hasn't and won't solved the fundamental business challenges that PR clients face - Getting their message heard by the right people. The tool is a means to an end - a way to say you've checked the boxes of getting a press release out - but it has little value outside of achieving that very specific task. "Expensive but top of the line press distribution"
Allows you to reach a broad audience globally, more so than other newswires. The staff are also very responsive and helpful - I've had newsroom staff call me and tell me they noticed a typo and offered to fix it for me. It's very costly. It starts at about $400 but can add up very quickly. Pictures and any multimedia are an extra cost as well. Due to the high price point - its best to use for press releases that are very important or will add value to your SEO efforts. My firm serves clients with a large global presence - we don't have the resources or contacts to enter those markets ourselves so BW allows us to get coverage out in other markets. "Easy to use, not worth money"
It's always been easy to submit a press release, select necessary demographics, and release through BusinessWire. It's insanely expensive, and in the last 5 or so years, sending PRs over the wire has lost most all benefits. Links don't stay active for very long, and most of the links aren't even visible on the media outlet's websites. Be very strategic in the selections you make with your audiences. Sometimes smaller is better (and cheaper). You can get something out of this if you're using it correctly, but spending thousands of dollars of your client or business's for little return can be a very risky move. n/a - I don't think this is a solution like it once was. "Top of the line - very helpful staff"
Staff is always responsive and helpful - I always feel like they are a trusted partner in helping us distribute important client news. No real complaints from my end. If I'm being nit-picky, I wish it was a bit easier to add a new client account instead of calling them every time. We use Business Wire to distribute our clients' news announcements, and have reaped the benefit of increased exposure and more media coverage for our clients. "Business Wire is still the essential news release platform"
Business Wire is great for first time users because it is easy to use, it has a wide range of distribution outlets to choose from, and its in-depth reports make it well worth the investment for a business of any size. Business Wire has prohibitive costs for each distribution, particularly for smaller scale releases intended for more specific audiences. Furthermore, their additional costs for media content like pictures and videos is costly, particularly for larger scale releases. Business Wire has value for business small and large, but it provides more value for larger companies. Simply because larger companies tend to have news intended to reach larger audiences, and the costs are not as prohibitive as they are for smaller companies. Business Wire solved my largest problem: when my clients need to quickly make an announcement, and when my clients need to widely distribute a news or press release. "Helpful service for distributing press release on the wire"
Both public relations agencies I worked for were very focused on getting coverage for media that was a result of direct pitching with national, local, and trade reporters, instead of relying on a wire distribution. That said, there is a large amount of value for certain clients (especially public companies) to send press releases out on the wire, and I used it on a subscription basis for one particular client. At my latest agency, I only used it on an ad hoc basis. The Business Wire team is very, very helpful and dealt with me managing a variety of changes and requests for a particular press release. They always answered my calls and helped me regardless of how many times it changed. Business Wire is very, very expensive and many clients do not see the value based on how much it costs. In addition, a lot of the stories go dead after a certain amount of time so doesn't work well for tracking coverage and stories with clients long term. Do it if a client is requesting wire distribution or you do not have the power to do all the point to point pitching necessary to get the client coverage that they're looking for. Getting coverage with media is the top priority for public relations agencies so Business Wire did help solidify coverage with particular clients, which was greatly appreciated. That said, a lot of what Business Wire does can be solved by point to point pitching from public relations agencies, so it depends on how large a team is whether you would like to outsource that or not. I do recommend Business Wire over other competitors. It's a very good service for press release distribution but I think the best is the customer support. When you have any problem or doubt they are really friendly. You can get many people and companies. I like to discover more information and I know that my information will be well distributed. I've udes other services and I think this is the easiest. Moreover you can find different media information and you can measure well the results. At the beginnig it can be difficult to use, but staff is so nice that problems are soved quickly. I'd like more information in spanish or in other languages. It could be good more support in spanish because there are many customers who speak spanish. Sometimes I have problems with visualization in some devices, but not always. It's not very useful when your piblic is very local or small, but it is great when you are talking to all the world. It help us to show to world what my company does. I work with a NGO and we need to publicize the activities we do to attract sponsors and we got better results with this service. It's difficult to get budget for some activities if companies don't know you. And sponsors like to see their news everywhere. I didn't have to pay it so, I don't know the prize, but I heard it's quite expensive. In my company the benefits outweighed the cost. "Good supplemental tool for in-house PR team; media pick-up rate not guaranteed"
It's an easy-to-use press release distribution tool. You can select media from different industries, states/ countries, etc. Of course the more outlets you include, the more fees you pay. For instance, you might select all entertainment media and local media in Los Angeles, and of course you don't know who they really are. They also include a useful reporting system for people to check the campaign efficiency. I'd say it's great for companies with in-house PR team to use as a supplemental tool (you have to have your own media list) and startups who don't have a dedicated PR team to get your words out. Eventually if you want better results, you will need your own PR team or an agency. There is no guarantee how many editors will pick up your story. It really depends on how interesting the story is. No complaint for that. What I don't like about the service is that 1) most editors just copy and paste press releases from Business Wire within an hour after the release (of course timing is the key for journalists, but I still wonder if they have a bot for re-posting), 2) many low tier media are included when you check the final report (e.g. you might see that 100+ websites picked up your story and maybe 20 or 30 don't even have 500 daily unique visitors, and you didn't know this when you select media). Business Wire does its job; just don't reply on it. The staff out of Charlotte NC is always responsive to my requests. The are easy to work with and Casey Fetters was a very good account rep, I was sorry to hear that she was leaving the company after working with her for 4 years. I have used Business Wire at several different companies and appreciate that they are not high pressure sales like their competitors. BW has a better reputation and I believe is more respected as a source of news. For a long time, I only sent press releases on occasion. Over time, the NA market became the predominate market for the company. Casey Fetters saw this increase and spoke to me about getting an annual contract with Business Wire. This ultimately saved us money and really says a great deal about BW's level of customer service and respectability. Customers should consider BW a partner in the PR planning and talk to them about a plan the best works with their goals. This will lead to a package that will help them meet their goals and potentially save them some money. Business Wire has significantly increased our coverage in NA and is now helping us with select coverage in EMEA. We are now using them for news in UK/Ireland and D/A/CH. I am looking forward to see how this new service will impact our PR efforts in these regions. "Good Wire, Not Great for Pickup"
I liked how easy the Business Wire platform was on the backend to put out a release. They made it simple and offered great customer service for when I had questions/concerns. I didn't find the pickup to be that great. It was shown on the major wire publications pickup sites, but didn't get much beyond that which was surprising to me based on the content of the release. When meeting with Business Wire to discuss options, I felt like the package was very comprehensive; but after distributing a release, it only seemed to touch wires and not much beyond that. When looking at press release distribution wires I find them to all have similar packages and pricing. It's important to review your business needs and evaluate from there which wire will best serve your company goals. Solving the problem of how to amplify our message to the business-focused crowd.The benefits of having an easy to use platform with a great customer service team were helpful. "Guarantees exposure, but at a steep cost "
BusinessWire had made a name for itself as a premier outlet for distributions, and the results are there for clients when you use the platform. Reporting is robust and provides actionable insight. The cost of distributing can be extremely high, sometimes racking up to over $5,000 for one release. Be sure that everything in the release is 110% accurate. Once published, editing is going to be the cost of an entirely new release. Getting coverage for majoring announcements on top-tier outlets. "Decent but not the best"
I like that I can easily save and access my past distributions as I always sent my releases over the wire to the exact same group. I disliked when after submitting a release for distribution, when calling to confirm, the account representative would try to "upsell" me to add additional distributions since they were never of interest to me. I am able to widely distribute news releases and content with Business Wire. "Innovative ways to get out News "
Business Wire is simply the most cutting edge news devivery service currently on the market. I use it especially to reach public affairs reporters. It serves needs well beyond businesses. Even though it has superior reach around public affairs issues, the name can give some of my issue-based clients pause. Talk to the staff about your needs. The staff will work with you, talk through issues, and come up with solutions. "Easy to use, good reporting"
It's a simple platform to use with easy formatting. They also provide detailed reporting on how the release did, including social reach. The customer service is excellent. They are available any time, which is critical for PR. It is an expensive service which can be difficult if you're using it for clients. Make sure to ask for their editorial team to review your release before it posts. They caught a few mistakes for me and also gave me a call to confirm when everything was ready to go. I never had to worry if it was sent or not. Getting client news out to trade publications. "Good service not worth the price"
Very good customer service and reports that are automatically sent to you. The price isn't worth the results you get as the links do not typically live longer than 24 hours on a site. The distribution is a bit confusing and not clear on price. We only use Business Wire because our clients still think putting press releases out on the wire is useful. We don't actively promote using it. "Effective News Wire Distribution Tool"
It's simple and easy to use. Unlike some other platforms that require you to format your press release content via a cumbersome online text editor, all you have to do with Business Wire is upload your press release document. They take care of the rest. Business Wire is a little pricey, but you get what you pay for. Effective if you can afford it. "Solid distribution and easy to use; needs better reporting"
The online platform is easy to use. And the service does what it says -- distributes your news across online platforms. The SEO capabilities are decent as well. The reporting is only so-so. They produce all sorts of graphs and charts for you, but there is very little meaning behind them. For instance, they say your release appeared on hundreds of websites, with millions in potential circulation/readership. That's a very inaccurate view of readership/visibility though. Would be great if they could track actual views (not potential views) and click-throughs. The biggest benefit is indexing your news on Google searches. Secondary is getting a few stories picked up by trade press. "Great service for a wide reach"
The software is easy to use and very user friendly, they list out each and every publication you can expect to target, the staff and technicians are extremely helpful, and the service is very reliable. Follow-up and reporting after the release has been sent is also very useful. The social feature is a great add on as well. It can be slightly expensive, but at the same time you get a lot for what you pay for. We have clients that need their news to be sent out to a wide audience, much larger than what we can guaranteed via traditional pitching, and Businesswire solves that problem. Bernadette McCormick and her team at the Minneapolis Business Wire office provide personal attention and great customer service. Their work is accurate, timely and I can see they work well as a team. For some of the other sections, please note that I don't negotiate the contract for UnitedHealth Group. That is done by our Communications team and they know information I don't on the terms/pricing, etc. It would have been nice to provide space for me to add this comment under the other sections. On very rare occasions, errors occur from the back up office in San Francisco, but it has never created a real problem. I always watch for the release to cross the wire and be followed by an email to the IR list, so I always know if something has happened. When I call them, they are quick to resolve the issue. For example, I sent over a news release this week which was supposed to go National and then to our IR email list. I saw it cross National and waited for it to go to our email list. When it didn't come through in a few minutes I called. It had been set up as a separate order and got list. They were able to locate it and get it out right away which I appreciated. The Business Wire team in Minneapolis provides great customer service, quick response times and accurate delivery of news wire services. I highly recommend them. We are a huge company and are always working on solutions to complex business issues. My use of Business Wire is to disseminate critical, time sensitive information not only to the public but to investors and analysts as well. As the investor relations assistant, I use Business Wire to send out corporate news releases and information to our IR email list directly from the highest executives at UnitedHealth Group. It is good to be able to pick up the phone and call any member of the team I know they will get whatever we need done. I also appreciate Bernadette's leadership with the NIRI group in the Twin Cities. Plus, she has gone out of her way to connect the other IR assistants who work for large companies in town so we can grow and learn from each other. She's great to work with on these efforts. I like that it's easy to use and how the support team is always there to help me when I need it. They make it easy for me to upload my release and make edits when I needed. It's easy for me to monitor the results of my press release and easily share them with my team. I like that Business Wire is open 24 hours a day for support because I am usually uploading press releases at midnight-2am so it's nice to have someone available to walk me through the editing process, if edits need to be made, and ensuring the right information goes out at the right time. That probably makes the biggest difference for me. I dislike that I am unable to copy and paste the mobile pick up into a grid now that they have started used image graphics like 'x's and check marks. It takes me a lot more time now to get those results in a grid post event day and that's not always good because there's usually a lot to do post-event. I also dislike how you have to add "ADDING MULTIMEDIA" to releases after you add photos/videos because it makes the release look clunky and unclean in my personal opinion. I honestly use Business Wire in a very simplistic way so I'm not fully equipped to give feedback and advice to others. All I know is that it is great to upload my releases and I am given support when I need it. I have realized the benefit of getting my release syndicated and easily gaining millions of impressions. "One of the best wire services"
Business Wire is easy to use, has excellent customer support, and syndicates better than the vast majority of wire services out there. It's pricy, but it's worth it if you are looking for maximum ROI from issuing a press release. The mandatory social media monitoring charge isn't great either, especially because I don't find much value in the service. BusinessWire is pricy, so I recommend it only if your company truly has something of value to say or if you're making a major announcement. Its SEO indexes well, but you can also implement cheaper tactics if you're simply looking to appear at the top of search results. If, however, you do need to put an announcement out on the wire, it's the way to go and is far superior to other wire services I used. Business Wire helps get my clients' news out there and maximizes impact. "Simple System for Press Release Distribution"
I've used other distribution platforms, and Business Wire is my preferred tool. The process for setting us a distribution is easy and yields notable coverage. You can schedule a release ahead of time or at the last minute and the Business Wire team will ensure it goes out. There are a number of credible and relevant trade lists that you can send a release to, in addition to mainstream media outlets. Business Wire also provides access to useful, easy-to-read reports that I can forward to clients for review. In addition to media coverage, Business Wire also offers insight into social media analytics. The Business Wire team is also available 24/7 to answer any questions. There have been times when the Business Wire team has missed spelling errors or minor typos in a release. Also on rare occasions, the site has had technical issues, preventing a release from going out. Business Wire allows us to distribute our clients' news to a vast, yet targeted audience. This not only helps secure media coverage, but helps with SEO as well. "Misleading Pricing and Poor Business Practices"
Their national network and trade publications. But they are not the only wire service that offers this same access. Was going to post a client's press release online, and noted on their pricing that US distribution (not regional or specific circuits) started at $415 for 400 words. Our agency's press release was 70 words over, so called for what the additional words would cost. Was quoted a $900+ base rate, plus $205 for the additional words. No problem with the additional word cost, but when I brought the misleading language up to the local rep, then spoke with the vice president of sales, was told they could understand why it was misleading and clearly it needed to be reworded, but they refused to honor the $415 base cost. Really?? At $500 it would have been inexpensive solution to preserving positive customer relations. When I noted to the VP that when we, as an agency, makes a mistake, we make good on it to our clients. He said he was sorry, and they would change the language on the page, but they were not willing to make any allowances or give any sort of a discount. Found this disingenuous and showcased poor business practices. Surprised at Business Wire not standing behind their product and their own website. Look around for alternatives, such as PR Newswire, PR Underground, PR Web and others. We handle public relations for a variety of clients and have been in business 25 years. "Is this buyer is the key tool"
Is this buyer is the key toolThe customer service is amazing… They really know their stuff even when you’re asking them very difficult questions. I create videos for clients, and they need to be released in the public and hopefully caught up by some press. "General Press Releases, but Does Not Allow for Customization I Need"
Multiple companies — I like being able to narrow my search by specific companies. The news feed I signed up for was worthless. Not only did it not narrow the search as I specified, the text was so small, I had trouble reading it on my phone (when I need it the most). On the website, I have found hiring events that were part of my beat's coverage. "Review of Business Wire "
"Business Wire - it may cost an organ, but it's sometimes worth it for the service"
I love the relationship that I have with the business wire staff. Working in PR, personal relationship are a central function to my success, and Business Wire's orientation towards customer service really keeps me coming back, despite the steep prices for distributions. Additionally, my clients are always pleased with the wire pickups that BWire facilitates. The price is the biggest issue. I get that we have to pay a minor additional fee to execute such grandiose releases but relative to other markets, I can attest that conversations surrounding competing agency's pricing can murky up the waters, especially when it's crunch time. Also, it would be great if they allowed for a place for the links to releases to live, without distributions. Lower pricing, and offer your clients release links to live, even if it's for a trial or the links expire; there is just a ton of ways of executing something like that and it hasn't been done, seems way behind the times. Problems that we are solving, tiered-social amplification, robust market touchpoints for information. "Business Wire is an intuitive, user-friendly site." I like that Business Wire allows you to search specifically for stories with photos—which is great when posting articles to the web. Sometimes, it seems like the articles aren't filtered very well in the search engine. Business Wire can give you too many stories, some of which aren't applicable. Business Wire is a great press release distribution engine when you need photos to go with your articles. "Simple effective system yielding impressive coverage"
It's an easy to use system that yields great coverage/reach. I like the option for copy review and that the customer service teams are just a call away. It's also easy to distribute a press release very quickly because you can save distributions under a client so that the same information pops up each time you are sending a release for that account. I also like the reporting that Business Wire provides. You can see how many views the press release got over a particular timeframe. You can also view social media analytics. You can also set up a press release to go out at a certain time, making it easy to set it up the night before or even a week before. We're able to get our clients' news releases widely distributed, yielding them great coverage on credible sites and on social media. They get Google alerts sent to them and these press releases appear in those alerts so it's great exposure for the work we do. "Better than the rest but also more expensive "
I like that there are a lot of options available for distributing press releases to targeted audiences across geographies and industries. Sending a press release internationally can be very costly. Overall it is one of the more expensive press release distribution services out there. If you don't mind the cost of the of the service this is the best wire service available for a variety of reasons. Make sure you take a look at all potential costs for where you would like to distribute a release before agreeing to use their service full time. The service helps distribute press releases to a wide variety of media outlets and targets across different industries. Their reporting tools are very good and provide the necessary insight needed to quantify the success of an announcement. "Pretty simple to use, good tool for wire sharing "
I like that Businesswire is a good tool to share information on the wire and that it is distributed to a very large range of sites and outlets. I don't like that it can be difficult to navigate at times. Also, sometimes there are not enough topics listed to describe the release that I send out. It would be nice to have more variety. This is a very good tool and it is fairly priced compared to others. It may be a little more expensive but it is worth it when looking at how many hits we have received on certain topics. It has been very helpful. Businesswire allows my company to reach thousands more people than I would be able to reach without a wire distribution. It helps to get our news out and it sends it to a lot of well known sites and outlets. "This is Why we use it "
Business Wire provides dozens of industry- , topic- and language-specific RSS feeds, giving you up-to-date news on the topics you cover, plus fast access to all of our multimedia news every day. I Would like if it had more variety. It could be more user friendly and offer a larger variety of clients. With more content it could give more variety and options for info ti use as publications. Good program. Give it a try. The service is pretty self-explanatory and quick to use. I am able to send out press releases very quickly, and ensure they are being sent to the right contacts. There is no way to get a price quote. For most clients I work with they like to see quotes before selecting a service, and with Business Wire I have to go through all of the steps of ordering without actually confirming to make sure I know what price we will be charged. "A simple, yet powerful to get the word out"
The comprehensive tools included in Business Wire allow you to closely control the distribution of your press releases. Users have complete control of the geographic location broken down by major cities, regions and states. You can also pinpoint the industries that pertain to your press release to assure that your announcement is being seen by your target audience. Although the user interface is very comprehensive, it can also be overwhelming in the options that are available. One more level of categories would allow users to fine tune their targeting without the mass amount of industry options. It would also be more helpful to further delineate which services are included in the base price and which are premium options at an additional cost. It does specify, however there is a mandatory online option that has a similar name as a premium option that can mislead the user. Including this web option in the base price item and adding the cost to it would clear up this process. I can only recommend the press release functions since that is the only function that I have used, however Business Wire has met that need quite well. Business Wire has been an extremely useful tool in circulating announcements from our organization, and improving our web presence for our SEO efforts. "Easy to Use and Friendly Service"
I like that everyone I have ever worked with at BusinessWire has been helpful and friendly. It's also easy to navigate and send a release. I can't say I really dislike anything about my experience with BW. It has been pretty minimal but like I said, everyone is helpful. We need to distribute our info to a many people as possible and the breakdowns that BW has are very precise and targeted. It also provides a nice breakdown of reach that our clients love to see. * We monitor all Business Wire reviews to prevent fraudulent reviews and keep review quality high. We do not post reviews by company employees or direct competitors. Validated reviews require the user to submit a screenshot of the product containing their user ID, in order to verify a user is an actual user of the product.